On 13 September 2018, H.E. 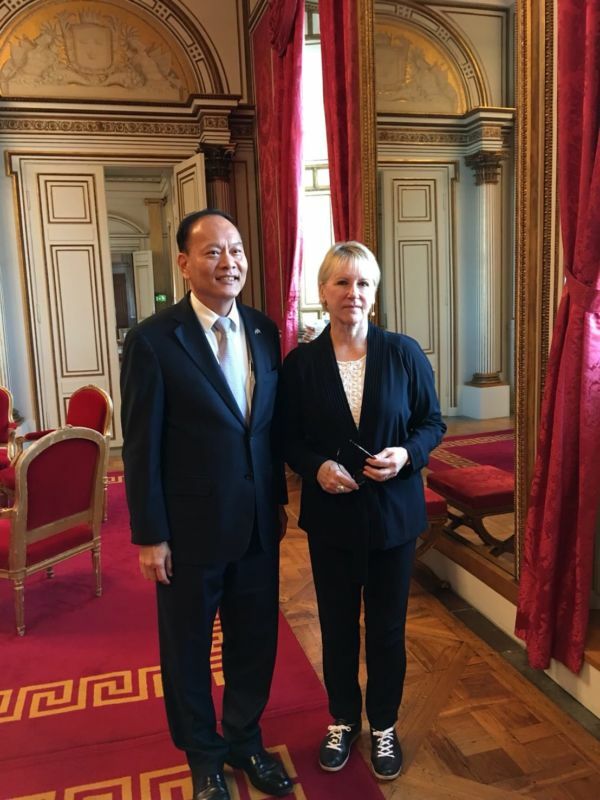 Mr. Soonthorn Chaiyindeepum, Ambassador of Thailand to Sweden, paid a courtesy call on H.E. Mrs. Margot Wallstöm, Minister for Foreign Affairs of Sweden, on the occasion of the assumption of his duty.